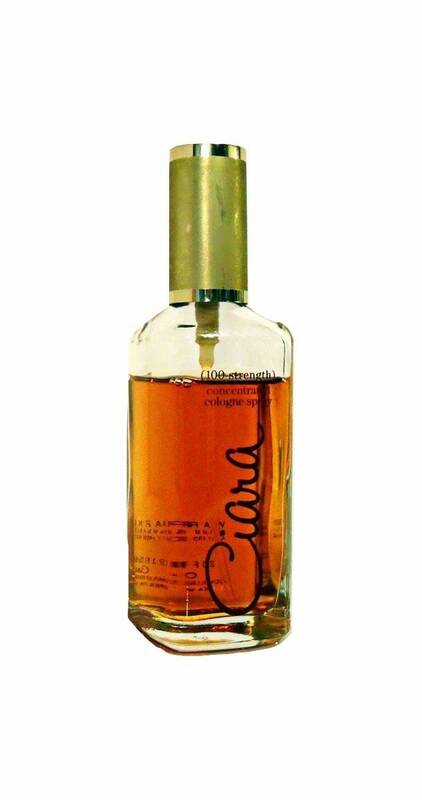 Vintage 1970s-1980s Ciara by Charles Revson Revlon 2.3 oz 100 Strength Concentrated Cologne Spray. The bottle is marked "Ciara Charles Revson, Inc. Dist, New York, NY." Bottle is about 90% full. The perfume still smells good. I think it kinda smells like Bal a Versailles. Definitely a keeper! 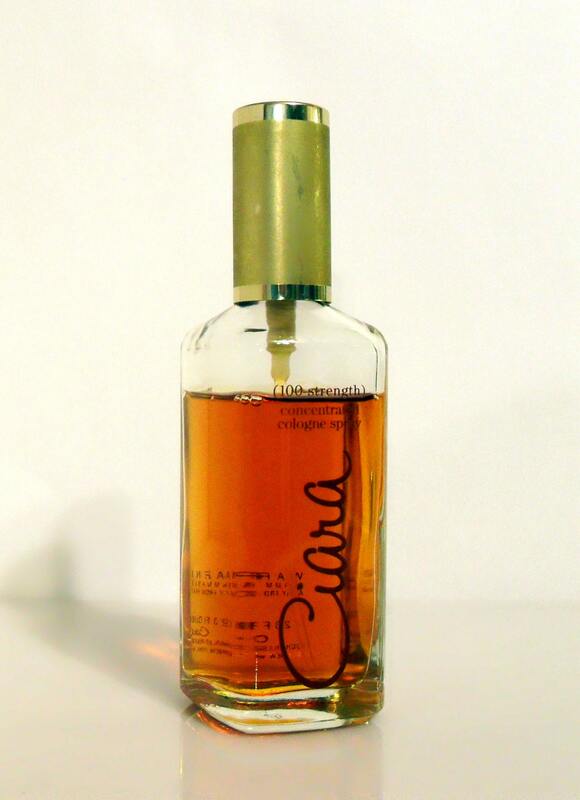 Ciara by Charles Revson: launched in 1973. (pronounced SEE-AHR'-AH). There was one year at Revlon when all the fragrances seemed to have something to do with the name Charles Revson. Ciara (a poetic arrangement of Mr. Revson's initials), then Cerissa (another play on the initials CR). It is classified as an Oriental fragrance for women. It starts with a fresh fruity top, followed by an expressive floral heart, resting on a sweet balsamic base. 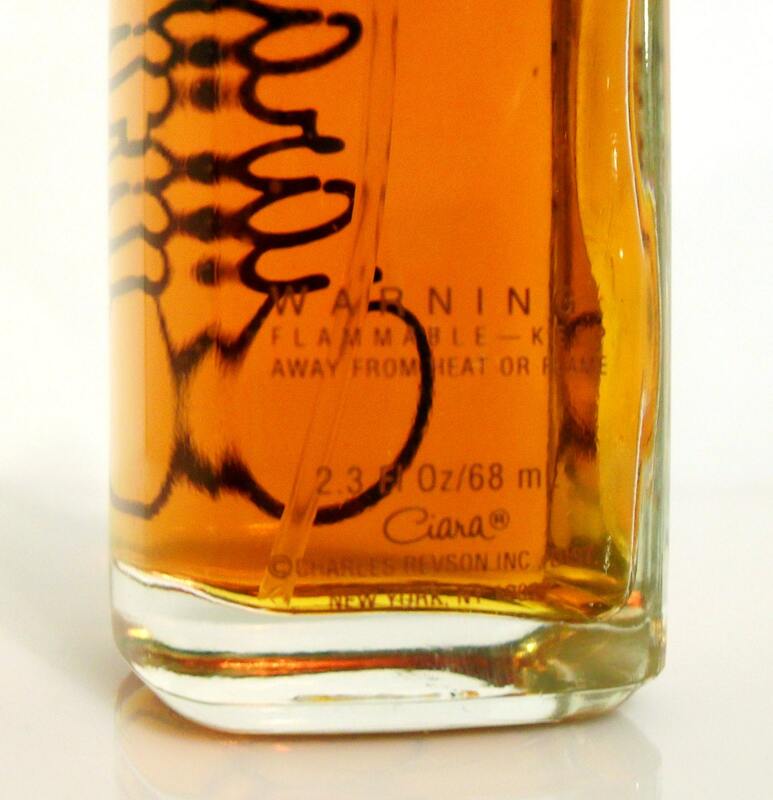 At some time, Ciara was reformulated and released under the Revlon name, not the Revson name, and some reviewers have mentioned that there is quite a difference between the two. The newer version is quite shrill and doesn't seem as smooth or well blended as its forebear.